More than just a motorcycle storage, we take care of your bike during the winter or the whole year. Your motorcycle is stored in a secured and under video surveillance, and we make sure it is ready to go for you. We are able to perform the maintenance in our workshop or at the manufacturer's dealership. So you only have the pleasure of the ride ! Motorcycle storage There is 1 product. 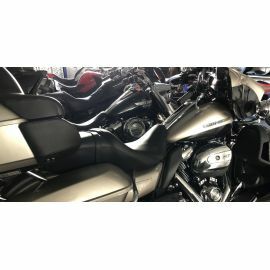 Your motorcycle is stored in a secured area, and we can sure it is ready to go for you. We offer you all the services to keep your bike in the best conditions and highest value.